Barto: "Right after Trilla had come out, Ross expressed to us that he wanted to do a second 'Maybach Music.' You know create a bigger, better [version of it]. 'Maybach' was a blueprint on its own. 'Maybach Music 2' we didn't want to do anything similar, we just wanted to keep that sense of sophistication. We sampled Dexter Wansel’s ['Time Is the Teacher']. We did our own thing to it, to the point where it became a totally new record. Dexter Wansel was the foundation for the form. But [afterwards] we added everything; the string arrangements, live guitar, bass, and drums. After everything came together [the sample] almost [wasn't] recognizable. [But] when you come across a sample, out of the respect to the artist, sometimes you just keep it." Rook: "Ross let us know who was going to be on the song. So we were like, 'Okay, Kanye, Ross, and Wayne are on the song.' Basically we took each one of their personalities and musically catered it to them. By that time Kayne dropped Graduation. We catered his verse [by making it] real synthy but orchestrated and soulful. 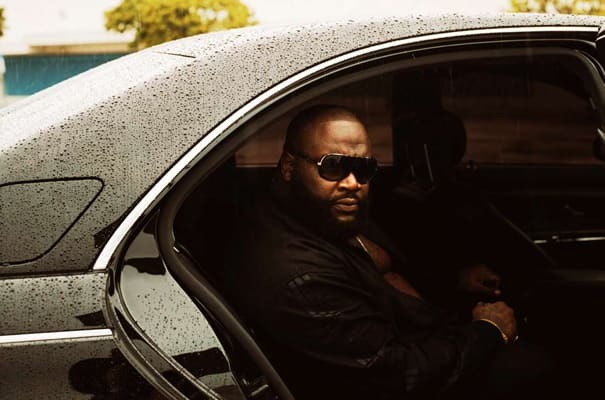 We catered Ross's verse to a more cinematic [sound], but it was also soulful with the organs, guitars, and church bells, reminiscent of [Port of Miami]. Wayne's verse, he is a milli, so we made it triumphant with horns, strings, and guitars. We made it real tasteful, too, so you really have to listen to how the instruments change because it is there."